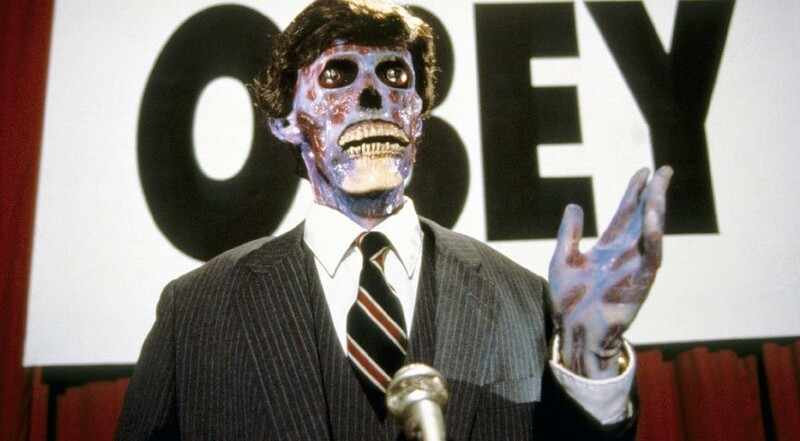 If my ten year old can quote Roddy Piper's famous line from They Live, you know they really need to make a sequel, and now it's learned that might be a possibility. They Live is the 1988 movie starring the late and great Roddy "Rowdy" Piper that featured Piper as a lone drifter trying to expose a covert alien invasion. It has comparable themes to The Matrix, where the sheep are basically being led to the slaughter and are unaware of the true world around them. My take on They Live is that the aliens are the equivalent of the Illuminati (if you are into that sort of thing). Regarding a potential sequel, while promoting the new Halloween, director John Carpenter actually teased a new movie is closer than ever to happening. John Carpenter further revealed that at one time a sequel was written and being developed by none other than Planet of the Apes and The Batman director Matt Reeves (how awesome would that have been!). “There was a feature film. It was a feature film called Resistance, written by, oh, the guy who did the Apes movies. Matt Reeves. But then he moved on,” Carpenter said. Prior to his death, Roddy Piper also revealed what his character name meant in the movie, which was Nada (translates to "nothing" in Spanish). While we are on the topic of classic John Carpenter films, it's also learned his epic 1987 Prince of Darkness movie may be made into a TV series. “It’s not a lie, but it’s not ready to go yet, so rather than discuss it, I think I won’t,” John Carpenter told Slash Film. Check out the trailer to They Live below. Oh, and that famous Roddy Piper line goes (something that Piper ad-libbed): "I have come here to chew bubblegum and kick a--... and I'm all out of bubblegum."